Our son, Sean, gave me the book Damn Yankees for Fathers Day and it is a must read for baseball fans, especially if you really don’t care for the Yankees. As the subtitle says, Damn Yankees is “Twenty-Four Major League Writers on the World’s Most Loved (and Hated) Team.” Some of the heavy hitters contributing to the book are Roy Blount, Jr., Pete Dexter, Bill James, Jane Leavy, Leigh Montville, and Tom Verducci. The heaviest hitter in this Murderers’ Row of writers is Frank DeFord, whose segment “Sweetness and Light” airs each week on National Public Radio. Damn Yankees contains a good mix of essays from those who love and those who hate the Bronx Bombers. Blount leads off with “I Have Feelings for the Yankees” and, among other things, he tells a humorous story about Yogi Berra. In “Sully and the Mick,” Leavy tells the story of a mistake she made in The Last Boy, her biography of Mickey Mantle. She tells of an e-mail she received from Mrs. Frank Sullivan informing her that her husband, a pitcher with the Boston Red Sox back in the 1950s, was not dead as Leavy had reported in her book. “The Oldest Living Yankee” by J.R. Moehringer is a great story about a young boy going to Yankee Stadium with his grandfather and sitting in the bleachers; it’s not quite what the title implies. I love New York. I defend it to the teeth. In fact, I like just about everything about New York except the Yankees. It is like living in Vatican City and liking everything about the place but the Roman Catholics. In the back of the book there are lists of the Yankees all-time leaders in hitting and pitching categories as well as lists of managers, owners, and award winners. 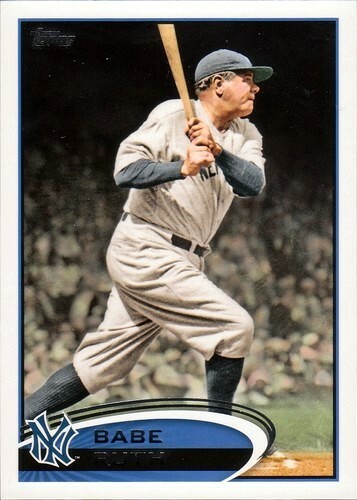 Did you know that Babe Ruth’s career slugging percentage with the Yankees was .711 and that his career on-base percentage with the Yanks was .484? They didn’t call him the Sultan of Swat for nothing. If you don’t like the Yankees, you will love Damn Yankees. But even if you’re a Yankees fan, you also will love this book. It is one of the best baseball books I’ve read in a long time. Since the concept of Damn Yankees was to have several writers contribute essays with their memories and opinions of the Yankees, I thought it would be fun to write a short piece that I would have contributed had I been given the opportunity to participate in this project. 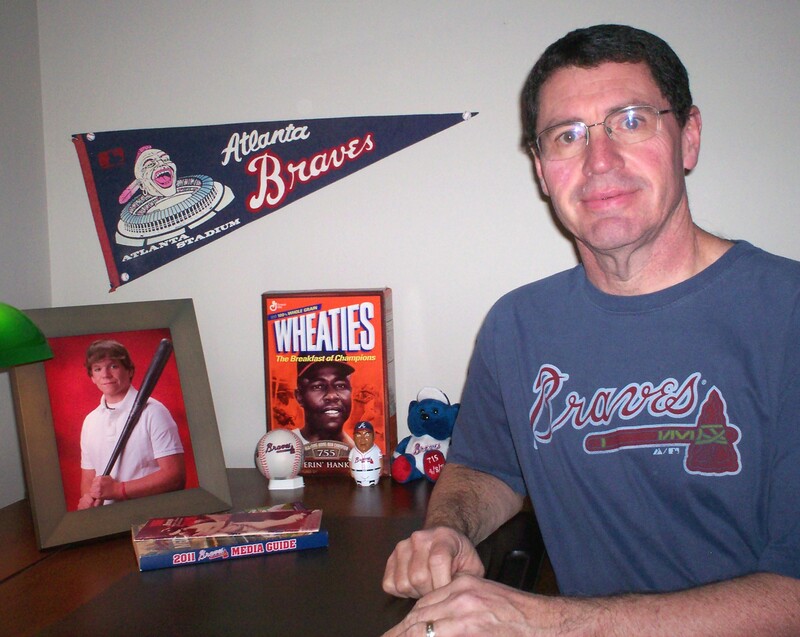 I started following baseball in 1966, the first year the Braves played in Atlanta; it also happened to be the first season since 1912 that the New York Yankees finished last in the American League. Sometime before the 1967 season began, my pal Dale McCarver told me about Strat-O-Matic Baseball during the long bus rides back and forth to school. His uncle, Carl, had ordered the game and introduced it to him. I played the game for the first time on the porch of Dale’s grandparents’ house. Strat-O-Matic is a board game with dice, cards, and tokens. The major league teams are made up of individual player cards. Each player’s card is designed based on the statistics from the previous season. When Dale said that the game was “computerized” he meant that the individual player cards were designed based upon a close analysis of each player’s statistics and determining the probability that certain results will occur. Once you ordered a game, you could order new editions of the teams every year. The game set we used that day on his grandparents’ porch featured teams from the 1964 season. In Strat-O-Matic each player manages his team, deciding on the batting orders and starting pitchers. They can pinch-hit, pinch-run, and bring in relief pitchers just like the real managers. After one game, I was sold. I went home and told my older brothers, Cush and John, about the game and we decided to pool our meager resources and buy a game set of our own. The game wasn’t available in stores; it had to be ordered directly from the Strat-O-Matic Game Company in Great Neck, New York (the home of Jay Gatsby and Nick Carraway, by the way). For $5.25 you could get the game board, five teams, and everything else you needed to play the game. This price was for a prepackaged set that included the five top teams from the previous season. We paid an extra 25 cents, which allowed us to pick the five teams to be included in our set. 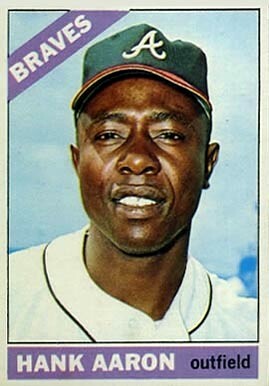 We made our purchase early in 1967, so the teams we ordered were based on statistics from the 1966 season; that’s why Dale referenced home runs by Henry Aaron, who led the National League in homers in 1966 with 44, and Sonny Jackson who set a new record for stolen bases by a rookie with 49 that year. The three of us quickly agreed on the first three teams we would select. The Atkins household was solidly Atlanta Braves territory, so the Braves were a given. We also agreed to get the St. Louis Cardinals and Houston Astros. We decided we needed a couple of American League teams and for some reason we picked the Washington Senators. With one team left to pick, John began to lobby hard for us to get the Yankees. He had always liked Roger Maris and, despite the Yankees having finished in last place for the first time in 54 years, they were baseball’s most storied franchise. Even with the last place finish, they were still the Yankees of Mantle, Maris, Howard, and Richardson. Plus, the Braves recently had acquired third baseman Clete Boyer from the Yanks. In the end, John won us over and we included the Yankees in our order. In 1966 Mickey Mantle had a decent season, but he was only a shell of his former slugging self. He hit 23 home runs, drove in 56 runs, with a .288 batting average. But injuries limited him to 108 games. Maris hit only .233 with just 13 home runs and 43 RBIs. Howard hit just .256 with six homers and 35 RBIs. Tom Tresh slammed 27 homers, but he hit only .233. Joe Pepitone led the team with 31 home runs and 83 RBIs, but he hit only .255. 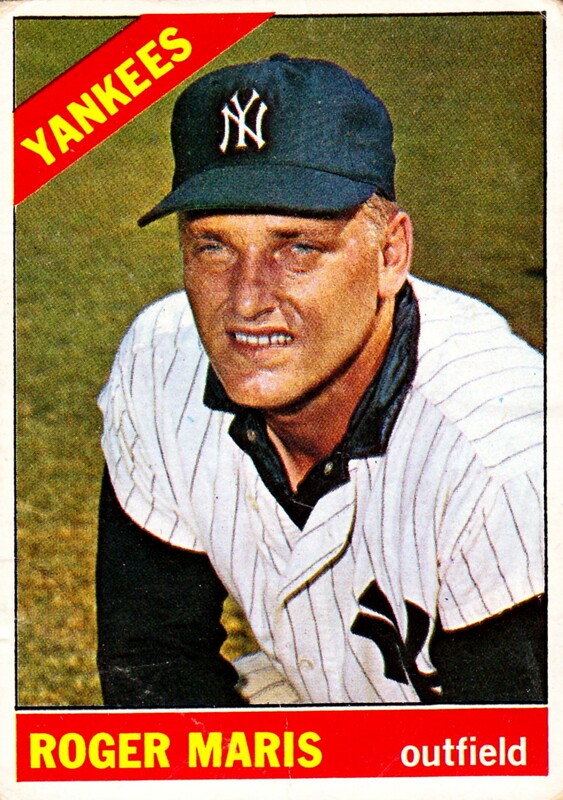 The Yankees hit only .235 as a team in 1966. Fritz Peterson was the ace of the pitching staff; he was 12-11 with a 3.31 earned run average. Mel Stottlemyre also won 12 games, but he lost 20. Al Downing was in double digits in wins with 10, but he also lost 11. Jim Bouton had the lowest earned run average among the starting pitchers at 2.69, but he started only 19 games and he finished with a record of 3-8. Whitey Ford was 2-5 with a 2.47 ERA, pitching mostly in relief. The Yankees finished 26.5 games behind the Baltimore Orioles and a half game behind the ninth-place Boston Red Sox. We closely watched the mailbox until our Strat-O-Matic Baseball game set arrived. The box glowed red, green, and black and the player cards were bright white with black print. Each team had only 20 players, 12 position players and eight pitchers. We soon were rattling the dice and managing our baseball teams. We quickly realized that Dale’s claims of Strat-O-Matic’s realism were correct, which turned out to be bad news for our 1966 New York Yankees; they were no better on the game board than they had been on the field. My earliest memories of the Bronx Bombers are not from listening to them on the radio or watching them on television. They are courtesy of my brother John, my friend Dale McCarver, and the Stat-O-Matic Company, then of Great Neck, N.Y.
Nice read. This book has been on my list for awhile as a Yankee fan. I think you will like the book, Alicia. Thanks for checking out my post and for your comments. Your Yankees are looking good! It’s too bad I wasn’t paid by the hour to play Strat-O-Matic. It remains one of my fondest memories from our youth. I can still hear those dice hitting the board, it sure beats the heck out of all those video games the kids play now. Wonder how many hours I spent playing Strat-O-Matic. Not only playing, but also compiling all my own stats. I’m convinced it made me stronger in math. wow talk about bringing up memories! I was a avid Strat-o player as well and unfortunately the Yankee’s were always my team. Unfortunate in the strat-o sense anyway. I chose them as my favorite team when I was six cause my grandpa loved them and he could do no wrong. I guess I’m just a loyalist at heart but I’ve stuck with them for almost 50 years now so I’m not gonna stop now-GO YANKEES!!!!!! Could that be my old high school pal, Brad Wilson. I don’t know what could have given you away. I had no idea you were a fellow Strat-O-Matic fanatic back in high school. You Dale McCarver and I should have formed a club and gotten others interested. My son never got into it; I guess the video games spoiled him. Thanks for reading and thanks for the comments.